Perfect for cars, trucks, Boats, Construction Machinery, Mining, ATV/UTV’s, etc. 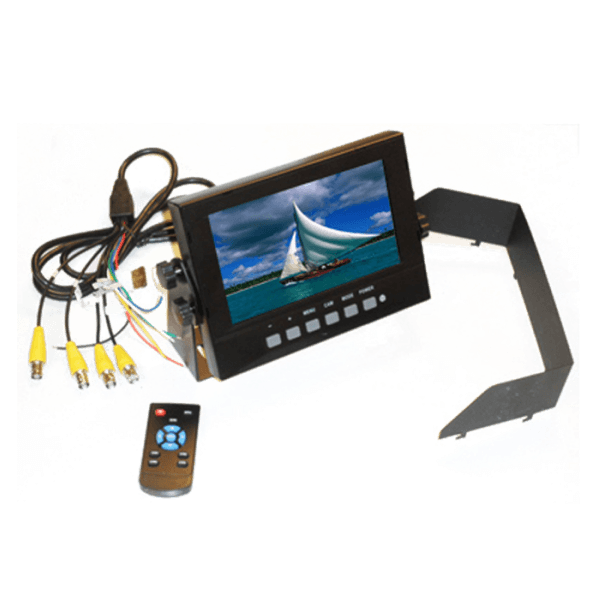 Rugged Cams has introduced the lowest cost completely waterproof 7” LCD Monitor in the industry. Other waterproof monitors we have seen are as much as $1200 higher than this unit. Features a wide temperature range and will withstand heated water high pressure wash-down. Trigger Wires included for Call-Up of any channel automatically (by switch or connect to back-up, blinkers, etc.) Can set delay time for camera call-up as well. Menu can be changed from English to: Dutch, Spanish, Portuguese, French, German, Italian and Russian.